Noah asks: Why is Japan called the land of the rising sun? Ancient, China developed all of the hallmarks of advanced civilization, including written language, advanced cities, specialized labor and bronze technology, as much as 2000 years before Japan. As a result, China, and its culture, had an enormously large influence on the younger culture, sharing its philosophies, political structures, architecture, Buddhism, clothing styles and even its written language. In fact, the earliest known written account of Japan was found in a Chinese book. With such a powerful influence, it stands to reason that, when Japan was described early in its development, it was from a Chinese perspective. And when the Chinese looked east to Japan, they looked in the direction of the dawn. Lived on raw vegetables, rice and fish . . . had vassal-master relations, collected taxes, had provincial granaries and markets . . . [and] had violent succession struggles. In the first century AD, one clan, the Yamato, began to dominate its neighbors, and by the 5th century AD, Yamato became a synonym for Japan. As a single, central government emerged, Japan increasingly followed Chinese culture, including its methods of administration. Under Shotoku’s direction, Confucian models of rank and etiquette were adopted . . . [He also] adopted the Chinese calendar, developed a system of highways, built numerous Buddhist temples, had court chronicles compiled, sent students to China to study Buddhism and Confucianism, and established formal diplomatic relations with China. Prince Umayado [Prince Shotoku], in the year 607, at the time of the first embassy to the Sui dynasty, sent a letter to the Sui emperor, Yangdi, ‘from the Son of Heaven in the land where the sun rises to the Son of Heaven in the land where the sun sets. Regardless, in 645 AD, according to Japanese history, a palace coup led to the introduction of the Taika (meaning “great change”) Reform. Intended to further centralize the government, the reform eliminated private ownership of lands and put them under the control of the centralized government – with the “people direct subjects of the throne.” As part of this reform, Nippon, Nihon (both meaning “origin of the sun”) and Dai Nippon (Great Japan) were used “in diplomatic documents and chronicles” in place of Wa (Wo). Nippon appeared in history only at the end of the 7th century. Old Book of Tang, one of the Twenty-Four Histories, stated that the Japanese envoy disliked his country’s name Wonguo and changed it to Nippon, or “Origin of the Sun.” Another 8th century chronicle, True Meaning of Shiji, however, states that the Chinese Empress Wu Zetian ordered a Japanese envoy to change the country’s name to Nippon. In . . . 670, an embassy came to the Court [from Japan] to offer congratulations on the conquest of Koguryo. Around this time, the Japanese who had studied Chinese came to dislike the name Wa and changed it to Nippon. According to the words of the Japanese envoy himself, that name was chosen because the country was so close to where the sun rises. 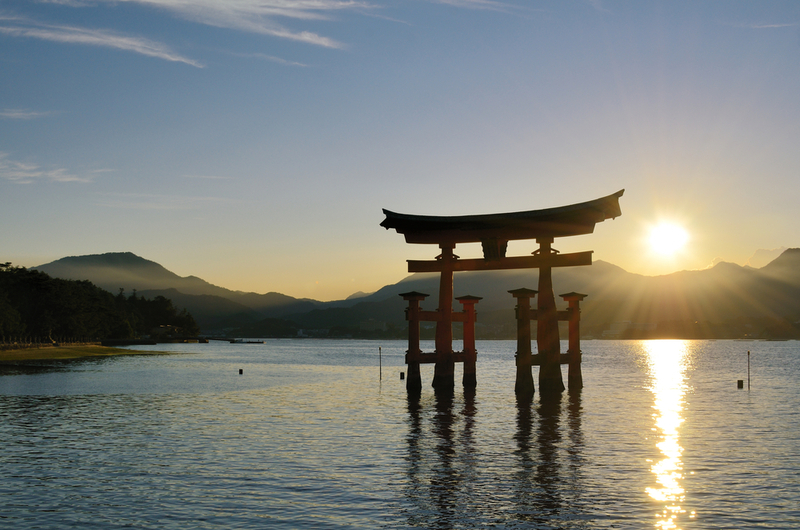 In any event, the name stuck, and for the last 1400 years or so, the world has referred to Japan as Nippon, the land of the rising sun. Many countries the world-over have interesting nicknames. Canada is sometimes called The Great White North, and China is often referred to as The Red Dragon. Ireland’s nickname, the Emerald Isle, is presumed to come from its lush landscape that is so vibrant, the green can be seen from outer space! “Fertile black soil [and] vast fields of wheat, barley, rye, oats, sunflower, beets and other grain & oil crops” account for the Ukraine’s nickname as the Bread Basket of Europe. During the United States’ War of 1812, meat packer Samuel Wilson would stamp “U.S.” (for United States) on barrels of beef supplied to hungry American soldiers. Over time, the GIs began to refer to the supplies as “Uncle Sam’s.” The iconic picture of the white-bearded man dressed in the stars and stripes was created during the 1860s and 1870s by cartoonist Thomas Nast. Very much enjoyed this article on history. I am old, but articles like this help me to learn everyday. Thank you for that privilege.